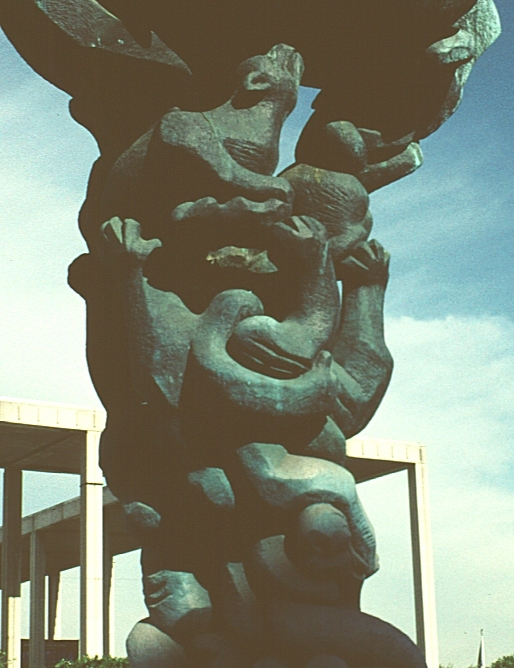 Images of Jacques Lipchitz's Peace on Earth. 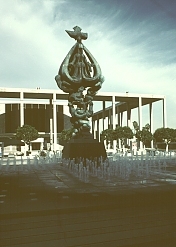 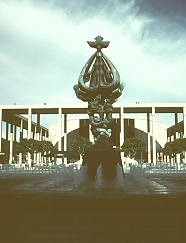 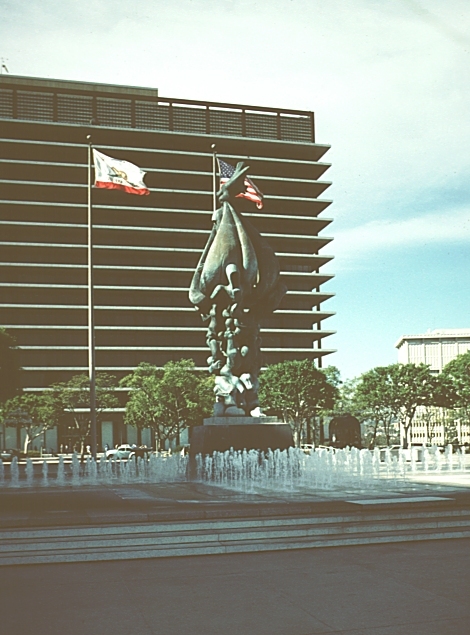 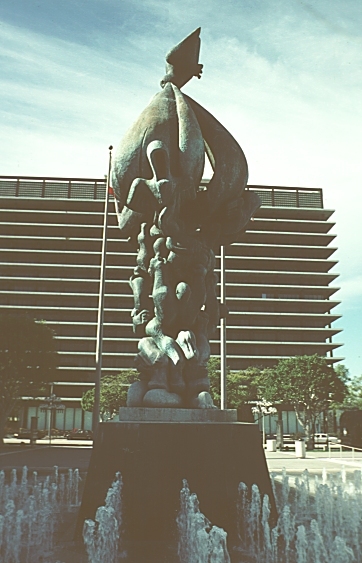 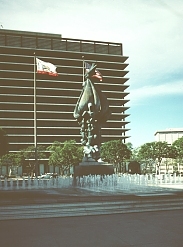 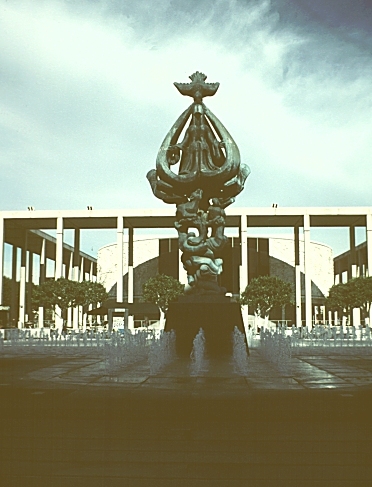 Located in the plaza between the Dorothy Chandler Pavilion and the Mark Taper Forum, this large work, incorporating a fountain, was designed to relate to the scale of the plaza and the surrounding buildings. 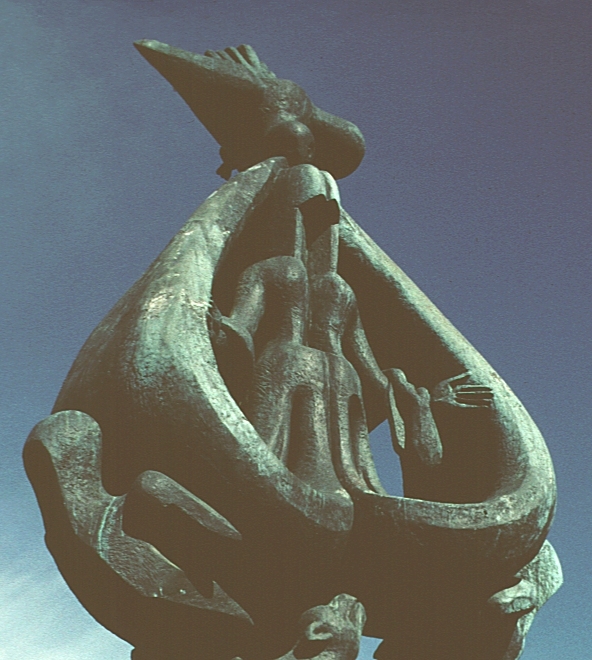 This sculpture is a less religious version of two earlier works by Litchitz: his Notre Dame de Liese (Our Lady of Joy), a sculpture with a dove descending to earth with the spirit of peace symbolized by the Madonna on a base of lambs, and a later work, Between Heaven and Earth (1958).